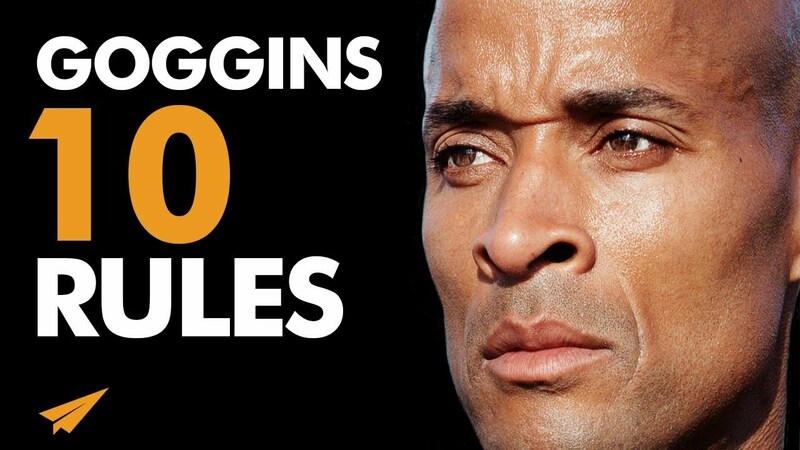 ✎ David Goggins’ Top 10 Rules for Success. Need motivation? Watch a Top 10 with Believe Nation! Grab a snack and chew on today’s lessons from a man who went from growing up in an abusive household, barely graduating high school, struggling with serious health issues, to completing SEAL training & U.S. Army Ranger School, and becoming one of the greatest endurance athletes in the world! He’s David Goggins and here’s my take on his Top 10 Rules for Success Volume 7! 1. what suffering will you use to improve? 2. whose soul are you gonna take this week? 3. where do you need to change your mentality? ✎ More about David Goggins. He’s a Navy SEAL and former USAF Tactical Air Control Party member. He served in Iraq and Afghanistan. He’s an ultramarathon runner, ultra-distance cyclist, and triathlete. He’s the only member in the U.S. Armed Forces to complete SEAL training, U.S. Army Ranger School and Air Force Tactical Air Controller training. He has raised over $2 million for the Special Operations Warrior Foundation. He is currently writing a book, “Built Not Born”, about his lifestyle, exercise, and diet. It is due out May 7, 2019.